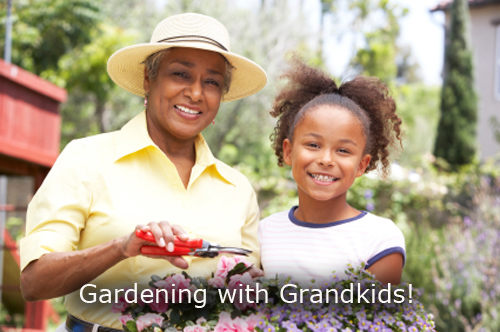 Gardening & Grandkids - Nothing Better! 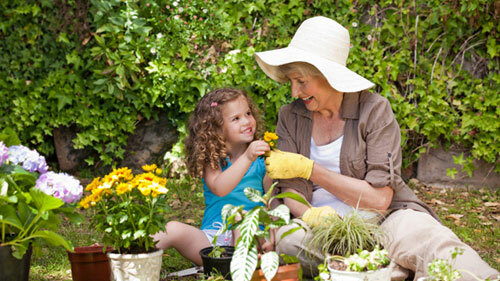 Gardening with lovely pottery and wonderful children make a richly rewarding and fun experience. The bonding between generations is so educational and loving! 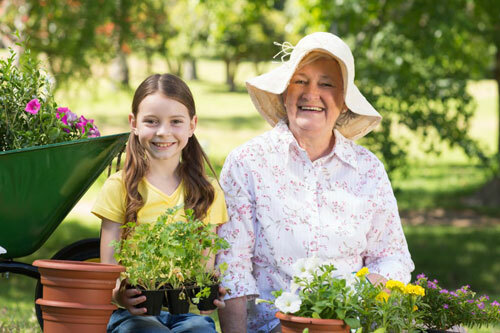 The older generation can pass along all their gardening experiences and knowledge. That bonding time is vital to a young persons growth. All kids love to play in the dirt and with flower pots that they can fill up! Take them to a nursery or garden center where they can walk around and look at all the plants, containers, and accessories. They them help to decide on what to plant and what to plant it in. It's the process that matters not the choices! 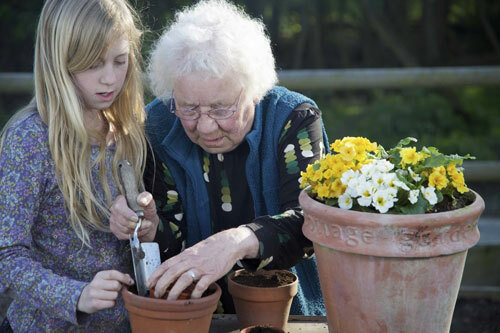 If your Grand kids aren't use to potting up a garden, don't be surprised. You just need to expose them to all the wonderful things that are involved in this process and they will respond. Most kids have internet experience so get them involved in looking for planters & plants on line. Let them pick items based on colors and have them touch the plants so they can choose based on feel. For the children who don't mind bugs, be sure and talk about the bugs who are beneficial like butterflies, ladybugs, and bees. Tell them about the ones that are harmful like aphids and worms. Some kids like bugs but other not so much so be sensitive to their personal issues. If you really want to make the process extra special, spring for a small statue or gnome. How about wind chimes and potted garden stakes. There are also small kids sized tools that are precious and come with a tote to haul them with. Plan ahead, select some of the items mentioned above and have fun! Read more..... Repotting & Potting-up a plant!